Cancellation are free of charge until 15 days before arrival; 50 % of the first night will be charged in case of cancellation until 7 days in advance: after this time first night charge will apply. 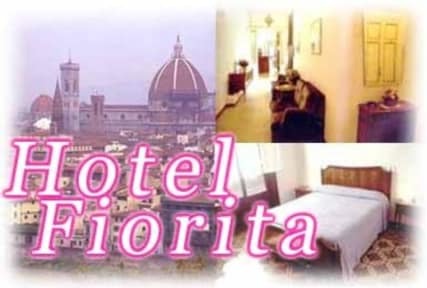 Hotel fiorita is located in the historical and commercial centre of Florence just 30 metres from the main railway station (S.Maria Novella), the Air Terminal and the Congress Centre. There is a parking area nearby or a garage service is also available for 18 per day. We are a recently renovated two star hotel now offering higher quality services including comfortable rooms with private bath, satellite color TV, minibar, direct dial phone, hairdryer, safe and air conditioning. 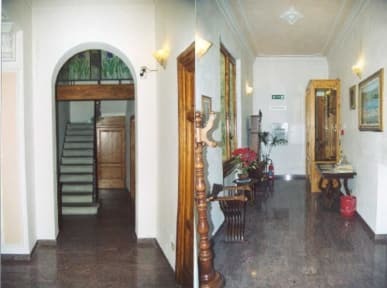 We also have some rooms which do not overlook the street and are very quiet and others with a balcony with a view of the Cathedral. We are located near several grocery stores. Florence's main station, Santa Maria Novella, is located five (5) minutes walking distance from us. Peretola/Amerigo Vespucci airport is located approximately 20 minutes by taxi and the nearest bus stop is located directly across the street from us in Piazza Stazione. We accept VISA, AMEX, JBC, DINERS and MASTERCARD. There is a TV room and reading room at the disposal of our clients and a cold breakfast buffet is included in our rates . Luggage storage: Available both on arrival and after check out. Car Rental : Within walking distance of the hotel and includes Hertz, Avis and others. Prices: Per room per night. Location: The third floor of the building (lift available). Multilingual Staff : English, French, German and Spanish. Elevator is very tiny & often broken. Wifi service is spotty at best. Breakfast/Snack room is wonderful! Location is a bit far from town center.